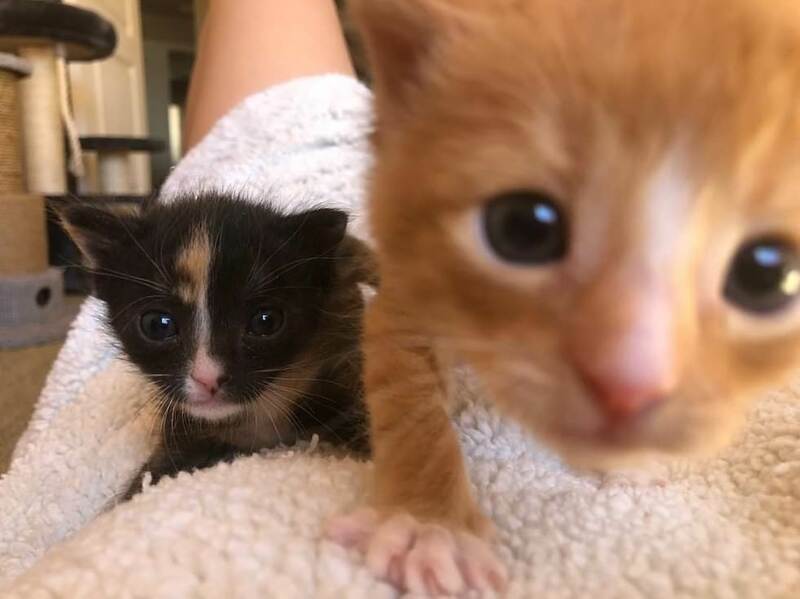 Two tiny kittens were found on the street of Phoenix, Arizona. 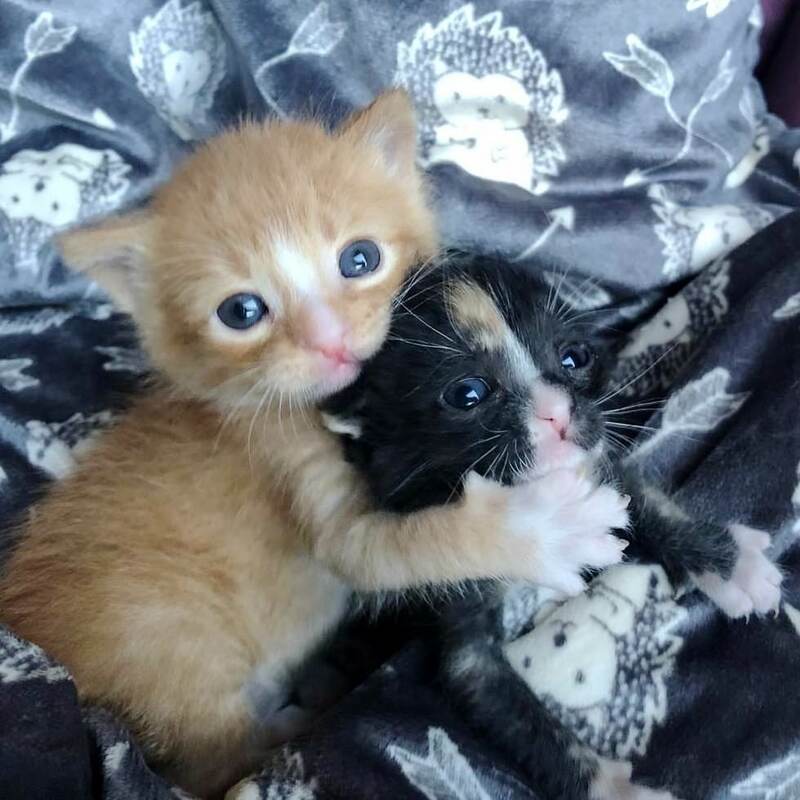 The poor kittens were abandoned with no mother cat. 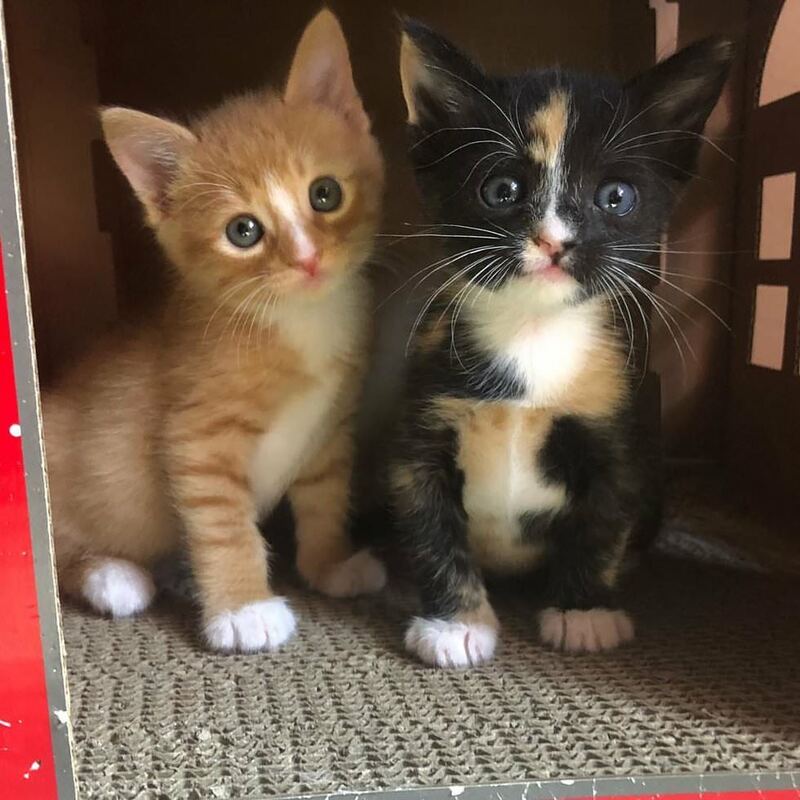 Luckily, thanks to an angel named Melinda Blain, co-founder of Bottle Baby Fosters, they got a better life. 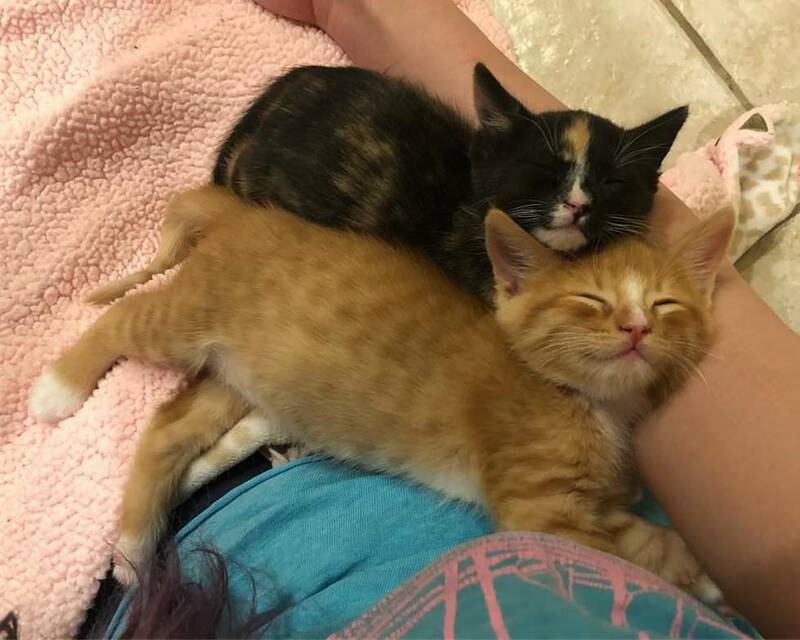 A month ago, Melinda Blain was contacted about a pair of kittens needing rescue and she came to Phoenix to save them. 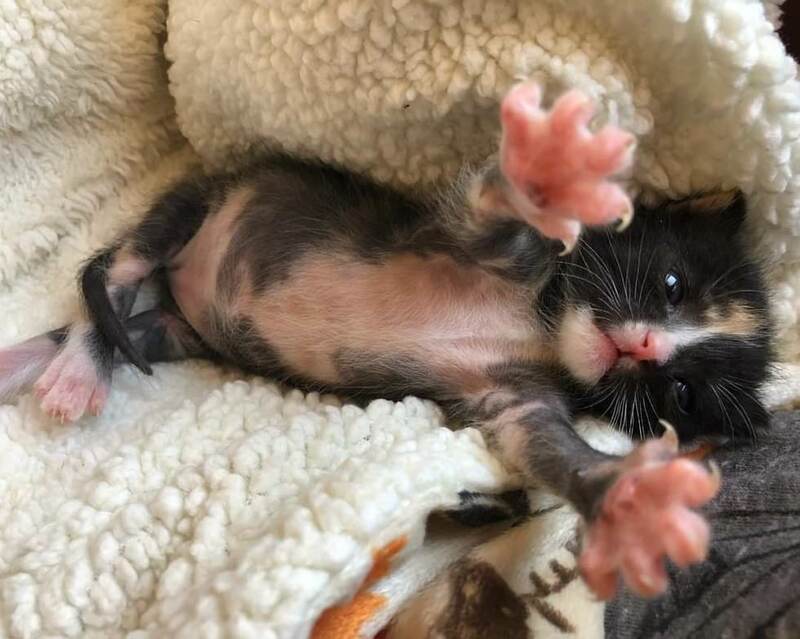 Amazingly, the kittens kept each other alive until rescue came without a mom. They were completely inseparable and would cry for each other if they weren’t together. Melinda brought them home right away and started taking care of them. 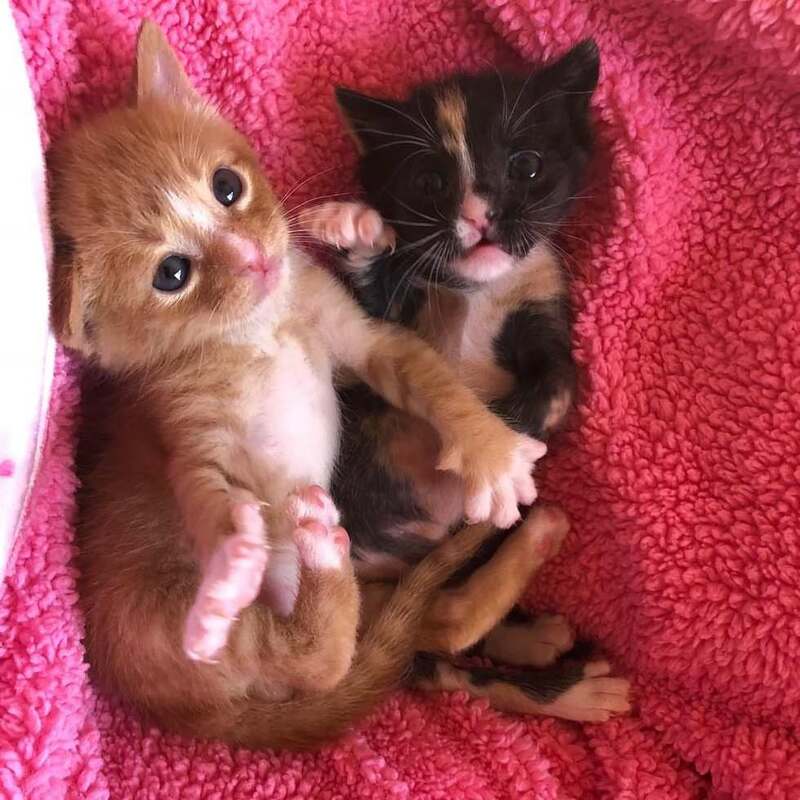 The kittens, Bonsai (tortie) and Buddha (ginger) had wounds on their legs, which were treated with antibiotics to prevent infections. 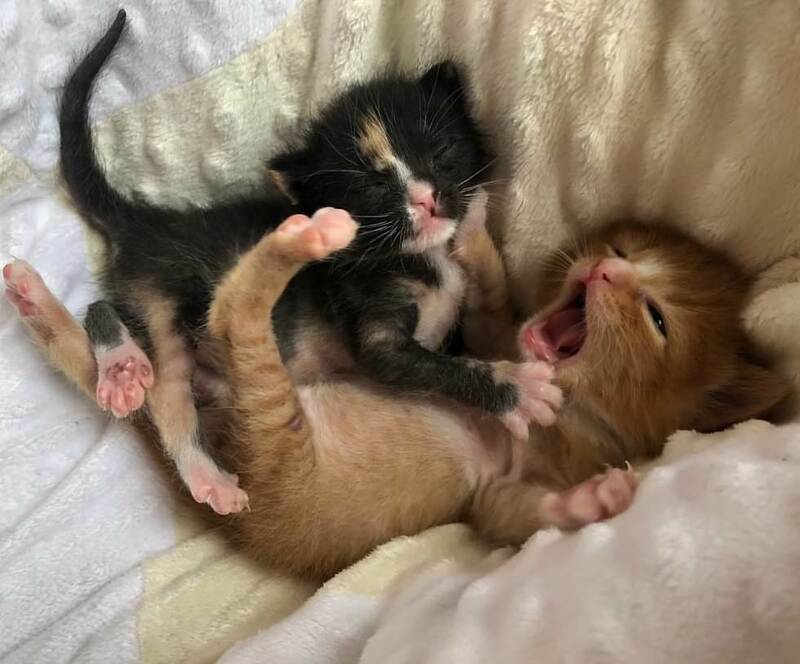 After eating their first meal, they took a long nap, trying to recuperate and make up for lost rest. With help from everyone involved in this rescue, Melinda hopes that they will have a forever home when they are big enough for adoption. They will be loved and been together forever. The brother and sister kept each other comforted through the ordeal. Now, they are happy, healthy, and loved! Please share this story with your friends and family! 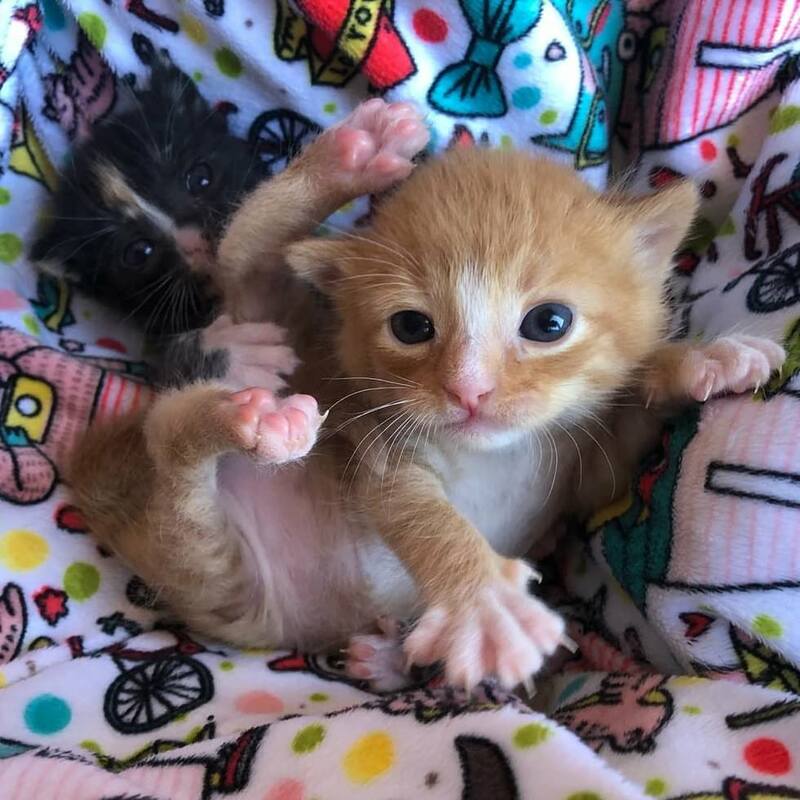 Two tiny kittens Bonsai (tortie) and Buddha (ginger) were found on the street of Phoenix, Arizona. 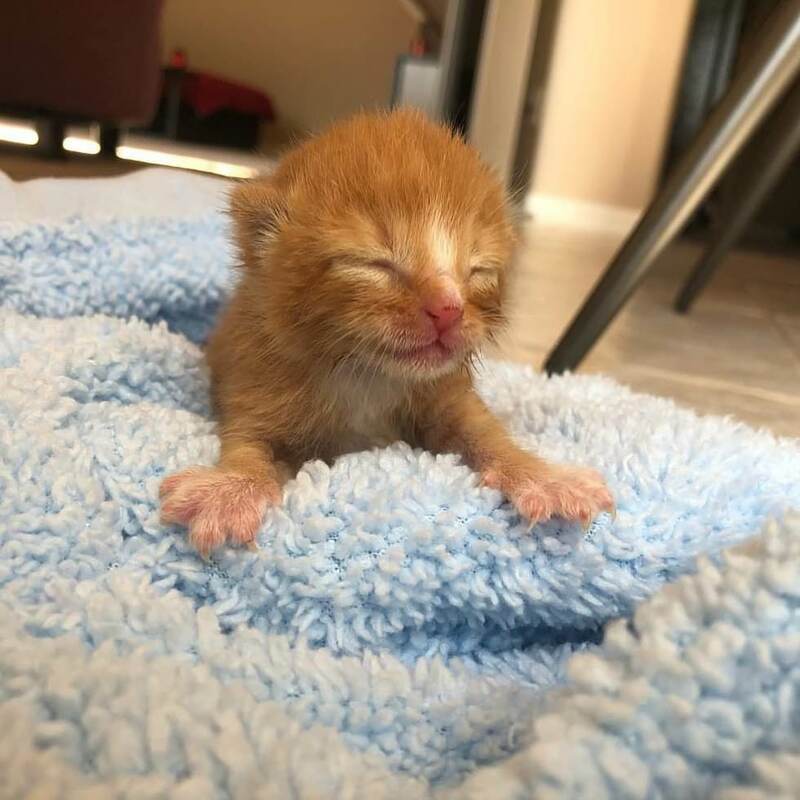 Luckily, thanks to an angel named Melinda Blain, co-founder of Bottle Baby Fosters, they got a better life. 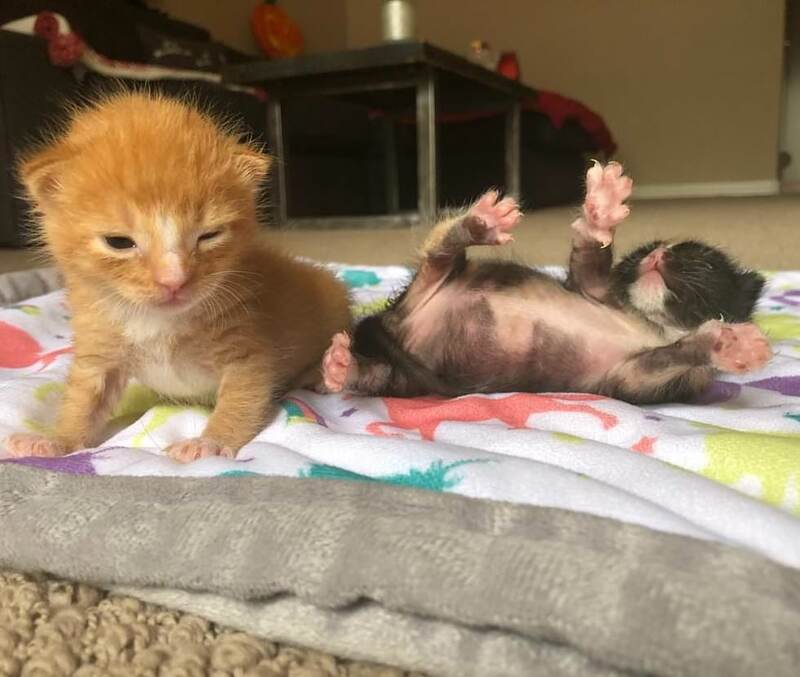 Amazingly, the kittens kept each other alive until rescue came without a mom. They were completely inseparable and would cry for each other if they weren’t together. After eating their first meal, they took a long nap, trying to recuperate and make up for lost rest. With help from everyone involved in this rescue, Melinda hopes that they will have a forever home when they are big enough for adoption. The brother and sister kept each other comforted through the ordeal. Now, they are happy, healthy, and loved!